That’s the sound of sweat falling from a blogger’s brow. Writing an effective opening is damn hard work. If you don’t hook your reader within the first eight seconds, they’ll click a link and disappear, perhaps forever. That sound is the difference between an amateur and a professional. Whether you write for a living or not, breaking sweat over your openings is a sign you’re serious about your craft. Even he admits he spends months perfecting the beginnings to his stories. That’s because, book or blog post, the rules are the same: lose your reader in the beginning and you’ve lost them for good. But, what if you don’t have the luxury of spending as much time as it takes? What if a deadline is looming? And what if you know your post could be great, but you’re not sure how to begin? You just need some simple formulas you can copy. Formulas that practically guarantee that you open strong every time. But my eight seconds are up. In a nutshell, copywriting is writing that sells. If the reader is not sold by the time they reach the last paragraph – or if they don’t even read that far – the writing has failed and the writer goes hungry. Great copywriting captures the reader’s attention and persuades them to take action, and a great blog post should do the same. Because as a blogger, you may not be persuading your reader to buy a product or service, but you sure as hell are persuading them to do something. You want them to give you their attention, believe that your ideas hold value, and take action on your advice. Copywriting excels at this kind of persuasion. And while great copywriting is part art, the highly persuasive writing you’ve read on countless billboards, magazine advertisements, and online marketing campaigns is driven by tried-and-tested formulas that have worked for decades. 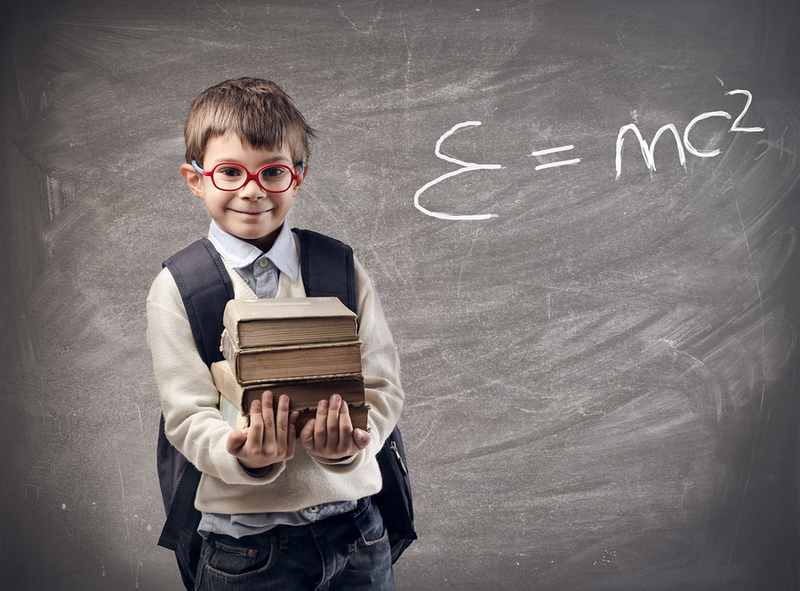 These copywriting formulas are the E=MC2 of copywriting, and (with a little work) you can adapt them to write persuasive openings that grab your reader’s attention from the first line. Problem-Agitate-Solution is an old-school formula that copywriters have used for years to put food on the table. The Problem-Agitate-Solution formula can be used as is to create a powerful opening for a post that promises to help readers tackle a pressing problem. Let’s see it in action with some examples. After starting a blog, new bloggers often complain about a lack of website traffic. As a result they feel frustrated and anxious about how they’re spending their blogging time. Let’s tackle this problem for them. [Problem] Are you sick and tired of writing blog posts that nobody reads? [Agitate] Millions of aspiring bloggers just like you publish posts every day, worry about SEO, and wonder if they should spend hundreds of dollars advertising on Facebook. But unless you spend your time in the right places, you’re never going to build the kind of audience you need to grow a successful blog. [Solution] What if I told you there’s a better way? What if I told you guest blogging could help you attract thousands of new readers? See how this formula uses a problem to draw the reader in? Even more serious bloggers find it difficult to make time for growing and monetizing their blogs. Let’s address their problem using this formula. That’s how many hours there are in a week, and if your blog is growing, you probably feel like this isn’t enough. [Agitate] You’ve got social media accounts to manage, posts to write, a new design to roll out, and a hundred and one other tasks that come with growing and monetizing your busy blog. What if I told you your lack of time is holding your blog back? [Solution] What if I told you it’s time to get help? Successful bloggers know the fastest way they can monetize their blogs is by outsourcing tasks like design, social media, and even their email inbox. Deciding what to outsource and what to do yourself is tricky, so I interviewed ten top bloggers and asked them what they outsource and what they work on themselves. Here’s what they said. New writers often wonder if their writing is good enough and how they can get advice. Using the Problem-Agitate-Solution formula, we can help them out. [Problem] Do you ever feel like your writing is being ignored? [Agitate] Are you tired of getting rejected by editors? Are you sick of seeing your ideas sink without a trace? Do you wish you knew how to make your writing truly resonate with your audience? Lots of new writers and bloggers face these struggles, but the ones who succeed get help – they hire a writing coach. Find the right coach for you by using the resources in this post. Lots of bloggers have trouble writing a professional bio for their social media profile. Courtney Seiter agitates this problem and then provides a solution on the Buffer Social blog. AIDA stands for Attention, Interest, Desire and Action, and it’s one of the most popular copywriting formulas in the advertising industry. Firstly, you grab the attention of your readers quickly and directly, usually with a bold first line, some powerful words, or by making a dramatic statement. Then, pique their interest by explaining what you’re going to offer them – the offer should directly address their needs and wants. Next, create desire by explaining the measurable benefit of your offer. Providing proof, such as a case study, will help build the desire. Since a call-to-action works best in the closing of a blog post, we’re going to use the first three elements of the AIDA formula to create a compelling, benefit-led opening. Returning to the topic of guest posting, new bloggers may have heard about this strategy for building their blogs, but they often don’t know why it works or how to pitch blogs. [Attention] If you’re publishing your best work on your blog, you’re wasting your time. If you’re really serious about growing your blog, you need to give this content to the biggest sites in your niche, for FREE. Now that you’ve got your readers’ attention, let’s whet their appetite. [Interest] I’m talking about guest blogging. Writing quality content for the biggest sites in your niche is the quickest shortcut towards growing your blog. And in this post, I’ll teach you exactly how to do it. [Desire] If you’re unsure about giving your best stuff away, what if I told you just one quality guest post could attract over 10,000 new visitors and 500 subscribers to your website? You’d probably tell me I’m crazy (I was also skeptical until I wrote my first guest post), which is why I’m going to present a case study for you. I’ll explain how a client gained 10,000 readers and 1,000 email subscribers from just one guest post. And I’ll provide a step-by-step explanation of how my client succeeded with guest posting that you can easily follow and achieve the same results. Serious bloggers understand one of the best ways to monetize their blogs is to grow their email list and then create an affiliate offer of value to sell to that list. However, lots of serious bloggers struggle to balance list-building with the other tasks that come with running a busy blog. [Attention] If you manage your own social media accounts, prepare to be shocked. You’re wasting your time. [Interest] Yes LinkedIn, Twitter, and Facebook probably drive some traffic to your blog, but your social media following is practically worthless compared to your email list. If you really want to make more money from blogging, you need to prioritize your email subscribers over your social media followers. [Desire] Last year, I outsourced the management of my blog’s social media accounts and concentrated exclusively on growing my email list. Today, I have more than 10,000 subscribers, and during a recent product launch, I generated over five thousand dollars in sales. In this post, I’m going to reveal how I grew my email list so fast, why you need to outsource, and the first step you should take to begin monetizing your blog today. It’s a rare type of writer that doesn’t want to share their work, find an audience, and even make a little money. As a blogger, you know that a blog is a great platform for this audience, but a surprising number of writers don’t have a blog. [Attention] Would you like to get paid to write? [Interest] If you want to find an audience, get free feedback about your work, and even make a little money from writing, blogging is the perfect platform for you. [Desire] I started blogging two years ago, and since then I’ve self-published a book, sold over 2,000 copies, and made several thousand dollars from my fiction. You can do the same. Bryan Harris of Video Fruit uses the AIDA formula all the time. In the introduction of his post about growing a list through giveaways, he even encourages readers to take action and sign-up to receive 13 promotional strategies for their giveaways. Bob Stone was an American copywriter and direct response marketer who worked during the early- and mid-twentieth century. Stone invented this copywriting formula for sales letter and direct response advertising, but today it’s used in dozens of types of promotional materials and works great for blog posts too. For our first example, let’s return to the new blogger who is having trouble finding an audience for his website. We’d start by describing the strongest benefit behind your post. [Strongest benefit] If you want to attract more website traffic, I have a solution for you – guest posting. I used this strategy to increase traffic to my website by 1,000 percent in just three months. [Expand] Instead of spending hours writing for my website, I wrote posts about topics relevant to my readers for popular websites like Smart Blogger and Copyblogger. These posts will continue to send traffic to my site for months to come. [Explain] In this post, I’m going to walk-through step-by-step how I came up with attention-grabbing ideas, successfully pitched them to big blogs, and then wrote my popular posts. I’m also going to tell you how I convinced readers to click-through to my website and what I did with all this extra traffic. Serious bloggers know that webinars are a great way of generating an income from blogging. Let’s use Bob Stone’s formula to describe this benefit and then expand on it with real-world information. [Strongest benefit] If you’re ready to monetize your blog, it’s time to run a webinar. [Expand] Webinars are one of the best ways you can become an authority in a niche, forge a bond with your readers, and make extra money from your blog. During my last webinar, I collected over 1,000 new email addresses and made five thousand dollars. [Explain] Sold? Good. Before you run your first webinar, you must take certain steps to guarantee success. You need to pick the right topic, write a script, and test your tools. And in this post, I’ll walk through these steps with you. For new writers, learning the basics of copywriting is one of the quickest ways they can get paid for their work. Fortunately for them, this is something you can teach them. So let’s use this formula to draw them into a post about copywriting. [Strongest benefit] Learn the basics of copywriting and you can make a thousand dollars from writing in just three months. [Expand] I know because that’s how I got started. If you’re new to copywriting, it’s a type of writing that’s used to sell products and services. It’s also the perfect writing style for an online audience. [Explain] In this post, I’ve gathered over 20 proven copywriting formulas that will help you get started with a copywriting business. Ramit Sethi’s Ultimate Guide To Money was one of his most popular posts last year. In his introduction, he pitches the benefits of his post as a “gift” that will help readers make money. Copywriters adapted this formula from a template often used by door-to-door salesmen. It’s a soft-sell where the writer works hard to make the right initial impression on the reader. To use this formula for writing a highly effective blog post opening, we’ll borrow the first four steps. We’ll arrive by saying something the reader will agree with – something non-threatening that shows we’re on the same page. Then we’ll propose a certain course of action. Something that most people who agree with our arriving statement would find reasonable. Next we’ll gently persuade the reader that this course of action is the correct one. And finally we’ll reassure them by overcoming any possible objections. New bloggers who just want to get their blog up and running often feel overwhelmed by the sheer number of things they have to learn. Let’s using the Approach formula to become the white knight that can rescue them. We “arrive” by saying something these new bloggers will likely agree with to build trust. [Arrive] Blogging is harder than it looks. You have to master the technical side of running a blog, figure out what to write about, and then get people to visit your blog. [Propose] But if you’re a new blogger, you only need to concentrate on a few activities and learn several new skills to grow your blog. [Persuade] When I first started blogging the sheer number of tasks and things to learn overwhelmed me. It’s embarrassing to admit this, but I almost gave up. It was only when I started to focus on a few key activities and skills that I started to see results. [Reassure] So don’t worry, I’m going to make it super easy for you. In this post, I’ll explain what you should focus on today, the blogging activities you can ignore (at least for now), and the simple secret to getting the traffic you desperately crave. Returning to an earlier scenario, how can we use the Approach formula to persuade serious bloggers to focus on building their email lists? [Arrive] You take blogging seriously. You’re in it for the long term, and you keep a watchful eye on your blog metrics to measure your growth. [Propose] But in reality, only one blog stat is worth caring about: the number of subscribers on your email list. Every top blogger worth their salt will choose an email subscriber over a new social media follower any day. [Persuade] Email subscribers are more likely to read and share your content, they’re more likely to comment on your posts, and when the time is right, they are almost always the first to open their wallets. [Reassure] Building your email list doesn’t have to be difficult. In fact, you can double the growth of your email list using a simple “content upgrade,” the strategy advanced bloggers use to increase opt-ins on their blogs. Using my blog as an example, I’m going to show you how to create content upgrades without spending a lot of time or money on them. I’ve even got a free checklist that will help you create your first content upgrade today. New writers, often wonder how long it will take to master their new craft. Let’s use the Approach formula to make a good initial impression and then propose an idea this audience should love. [Arrive] Becoming a great writer doesn’t happen overnight. [Propose] You know there’s no quick fix or great secret to writing mastery – it simply takes practice. In fact, in his popular book Outliers, Malcolm Gladwell suggests that it takes 10,000 hours of practice to truly master a craft. But unguided practice is a terribly inefficient way to learn. That’s why it may be time for you to hire a coach. [Persuade] A writing coach will allow you to combine practice with the experienced feedback required to hone your skills in the fastest possible time. A writing coach will guide you past obstacles that could block you for hours, days, or even weeks working alone. [Reassure] But if engaging a writing coach sounds complicated and expensive, don’t worry – I’m going to keep this simple. In this post, I’ll share the five things new writers should look for in a coach. I’ll even show you how to get coaching for free. I’m going to keep this simple: new writers who are ready to get help should look for five things from their next writing coach. Leo Babauta’s entire blog is geared towards making the right impression on his readers. In the opening line of this post, he explains that stress causes health problems. Then, he proposes five small things that readers can do to reduce stress, and then he persuades us to take action because his five suggestions only take a few minutes. The body of Leo’s post goes on to back up his claim. But, they’re damn important too. Without a strong opening, the rest of your post won’t even get read. Let that sink in for a second. The rest of your post won’t even get read. You must hook your readers from the first line of your post. Fortunately, with these bombproof copywriting formulas, you can now do it with minimal sweat. So when you draft your next post, borrow one of these formulas for the opening. And if you have to write more than one to find out what works best, that’s OK. Writing magnetic openings is one of the most important skills an ambitious blogger can learn. And you now have four different formulas for success. So get out there and open like a pro. Your readers will reward you with their time and attention. About the Author: Bryan Collins is a writing coach on a mission to teach you how to write. The author of a Handbook for the Productive Writer, Bryan wants to give you exclusive free samples from his book (plus time-saving social media goodies) on Become a Writer Today.